March 9, 2016 September 24, 2018 - by Gold Cochin - 6 Comments. During the weekend an old college buddy of mine (who didn’t know I was keeping chickens) came to town with his wife and my family decided to invite them over for dinner. When they came I was giving them the tour of the house and I showed them our flock – they were very surprised and started giving arguments why they would never keep chickens or any animal other than cats and dogs. As time passed this became our top subject over dinner and this is what made me present the idea about this article to my colleagues at the typesofchicken.com team. There are two kinds of predators – hunters and scavengers. The predators are not looking for chicken specifically, they are looking for basic means of survival – food, water, and shelter. 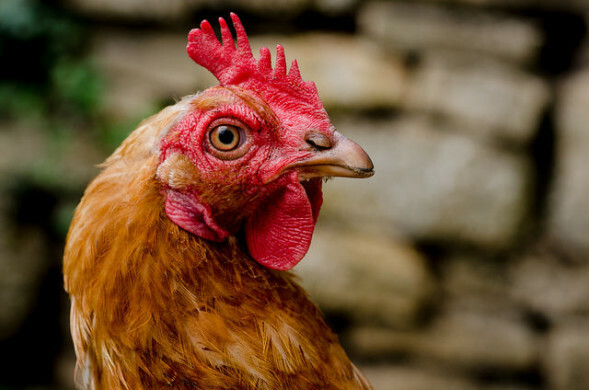 Almost every predator that can harm your chickens’ attacks at night, but it will not attack if you keep your chickens closed in their coop and if you don’t leave any food or water outside during the night. So the conclusion is, it is not your chickens that can attract the predators but the means of survival you provide for them if you don’t take care of your coop and the chicken run during the night. If you see a dirty flock of chickens in someone`s backyard, it is not the chickens’ fault. Think of it the same way that you would think if you see someone with a filthy dog or cat. Every domestic animal requires some care, and we have already discussed that you can keep a schedule about cleaning your coop. If your coop and your run are clean the chances are that your chicken will be clean also. So we come to the conclusion it is not the chickens that are dirty but the chicken keeper`s irresponsibility that makes them dirty and filled with fleas or mites. Roosters crow, dogs bark – it is a normal animal behavior, you cannot argue with that. If you have a neighbor that dislikes the sound of nature that a rooster`s crow gives and complains to you about it, you can choose not to keep a rooster in your flock. Hens make short-lived sounds when they are communicating, that should not bother anyone. This is not a valid argument if you want to convince someone not to keep chickens in their backyard for so many reasons that I am not even going to write about it anymore. Keeping chickens cannot spread disease if you are practicing proper care. You are in contact with germs anyhow – when you touch other people or objects. The risk is almost the same, so what you can do to prevent any disease that you can get from your chickens is what you do to prevent any disease – wash your hands after touching them or if your clothes get dirty while you are handling your chickens make sure you change them. As simple as that, chickens can spread disease as much as any domestic animal, so again it is up to the chicken keeper to prevent that. Well yes, but there are many ways you can keep your garden chicken free. 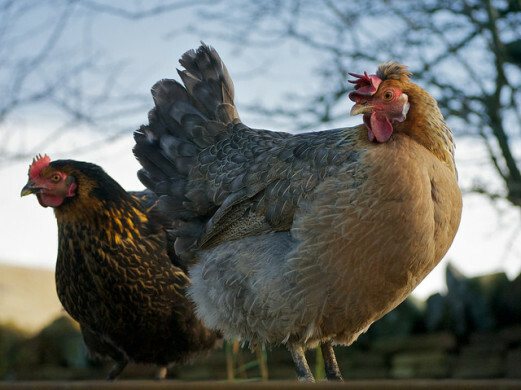 Chickens love roaming around your garden – they peck for worms and many different types of food they enjoy. 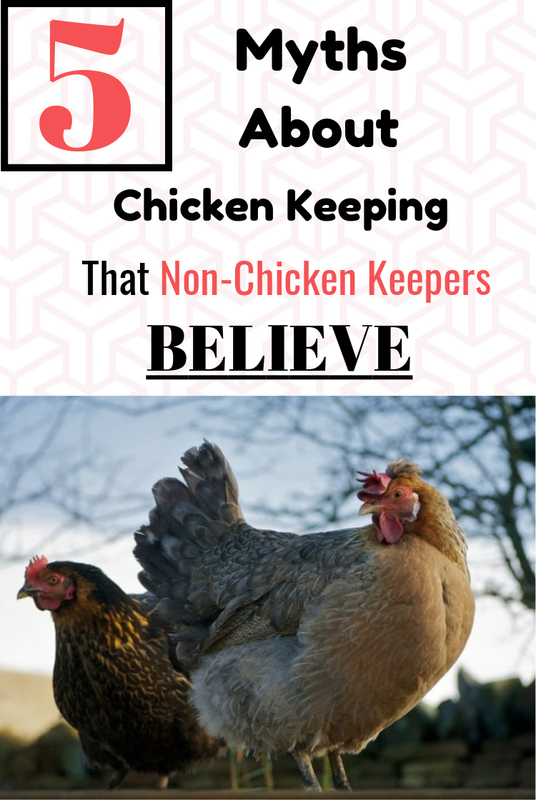 This does not mean that if you have a garden you should not keep chickens, quite the contrary if you keep chickens you should have a garden also because they have a mutual benefit relationship. Chickens can clean your garden from pests, and you can provide safe, natural and nutritious food for your chickens from your garden. After clearing up the arguments and give and take a few jokes me and my friend agreed that he should definitely keep his own chickens. I am going to visit him next week to help him with his chicken coop and the rest of the essentials. Previous Article Uses for Chicken Feathers – DIY projects!!! Next Article Fertile and infertile eggs: Differences & Similarities? We have had to secure our chickens during the day too. There is a fox, probably trying to feed her young ones, that has run into our back yard and stolen a laying hen…. with people right there. Our chickens love to perch and poop on our porch, which is disgusting. Chickens spread every bit of mulch about 4′ from where it belongs, leaving the area bare and the grass clumped thickly with mulch. Chickens find ways into the garden and have a feast, taking bites from everything and uprooting small plants. I will always keep chickens, but rotation pens are the only way, in my opinion. I don’t let my chickens roam the garden as I have seeds in. they will also eat certain flowers. they scrap,the borders and make a mess. But mine have a very large woody area fenced off from my garden. I don’t think the runs from pet shops are adequate . especially if you have more than two.i have five hens. This is my experience with chickens in the garden. When they were confined to a run (even a large run) they destroyed any vegetation in site. When we started giving them access to the entire yard including the extensive garden plots, nothing was destroyed anymore. They’ll take bites out plants, but rarely enough to kill anything. (With the exception of certain succulents that they can’t resist). They stay busy in the compost pile and the mulched areas under trees. They chase off the squirrels that do the real damage. We have a beautiful full lawn and lots of perennial and annual flowers. The yard has definitely benefitted from the girls free ranging. They follow me when I work the soil, and eat grubs and other bugs, they keep weeds suppressed and they fertilize. We don’t even eat much eggs. We keeps chickens FOR their work in the garden and yard, not despite it. That being said, we keep a very small flock (5) and have a good sized yard. So they have plenty to occupy them so they don’t destroy things from boredom. We have 10 hens that free range, & they don’t mess with the garden much. They’ll go in & eat the weeds but don’t destroy the plants. I vehemently disagree with all but #2. 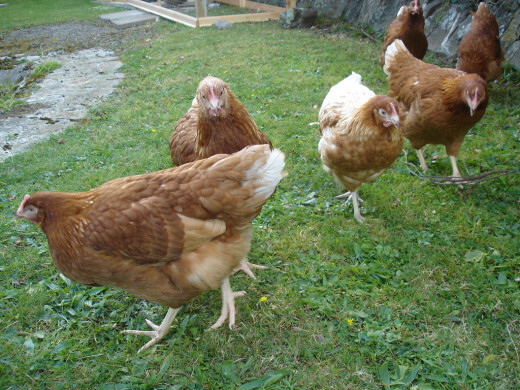 • Left unchecked, chickens WILL gut any garden they have access to (even if they don’t devour all the plants, they will uproot them with their scratching and dust bath-digging).